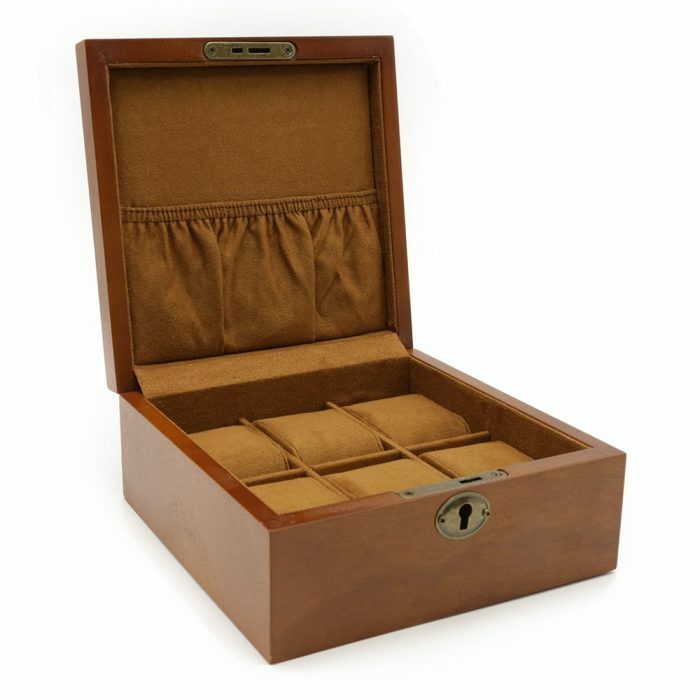 This Nutmeg Wooden Premium 10 Slot Watch Box is the perfect way to store your fine collection of watches. 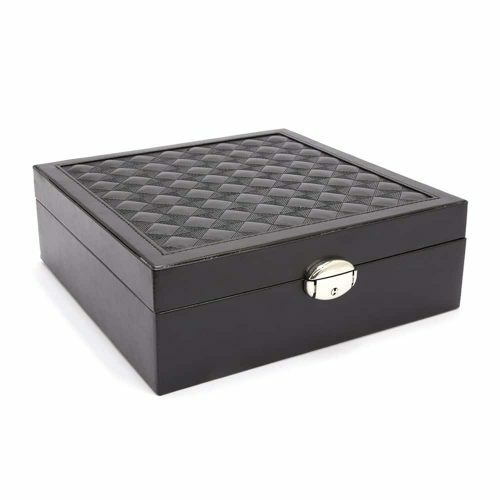 It is designed with high quality materials internally and externally, making this watch box sturdy and long lasting. 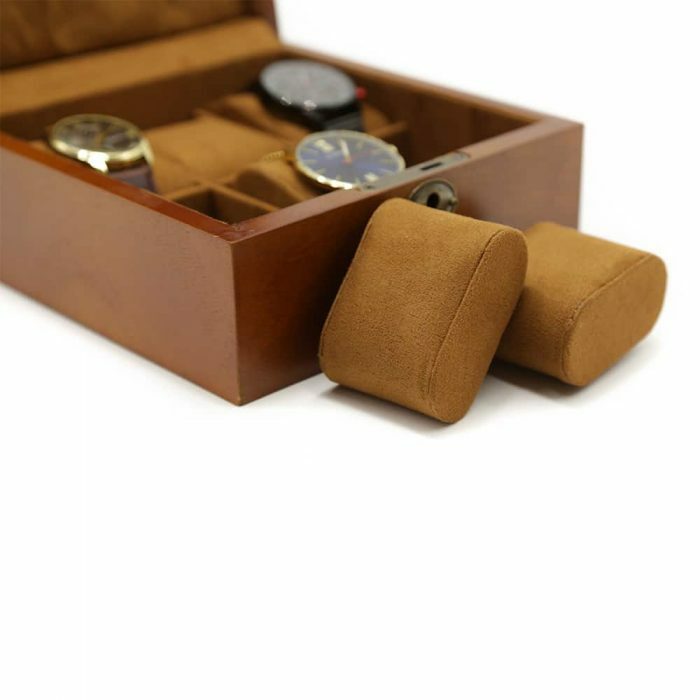 The nutmeg exterior has been beautiful matched with a suede interior both on the lining and the cushions. 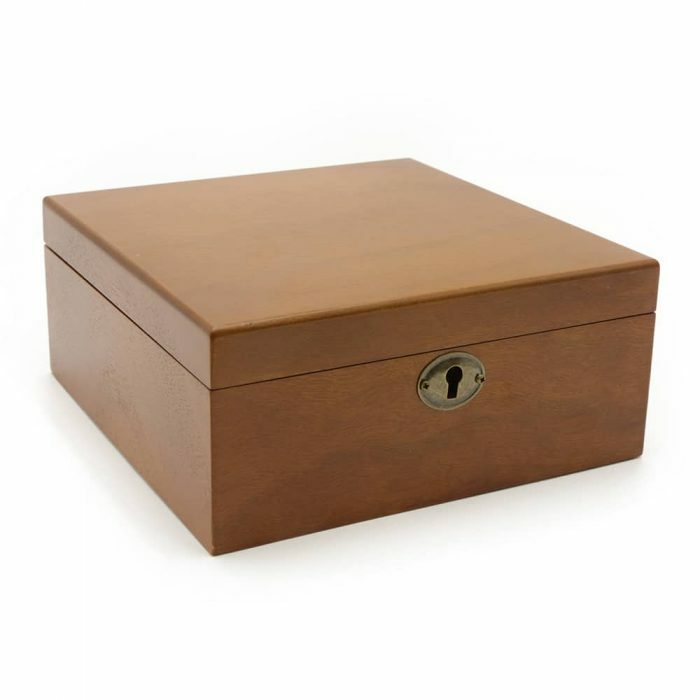 This wooden box has 7 slots. 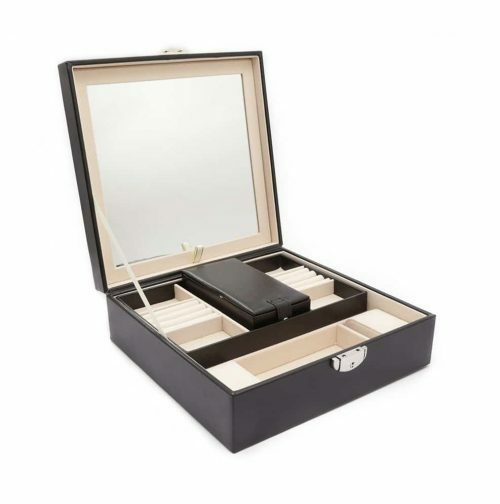 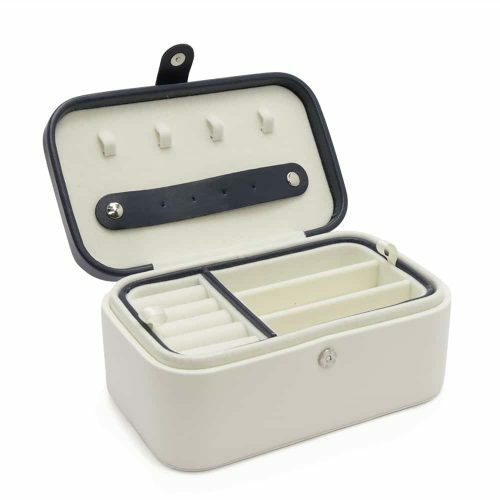 2 of these slots have large pillows that can hold multiple watches or jewellery and 5 small soft pillows that line the bottom of the watch box to store your watches. 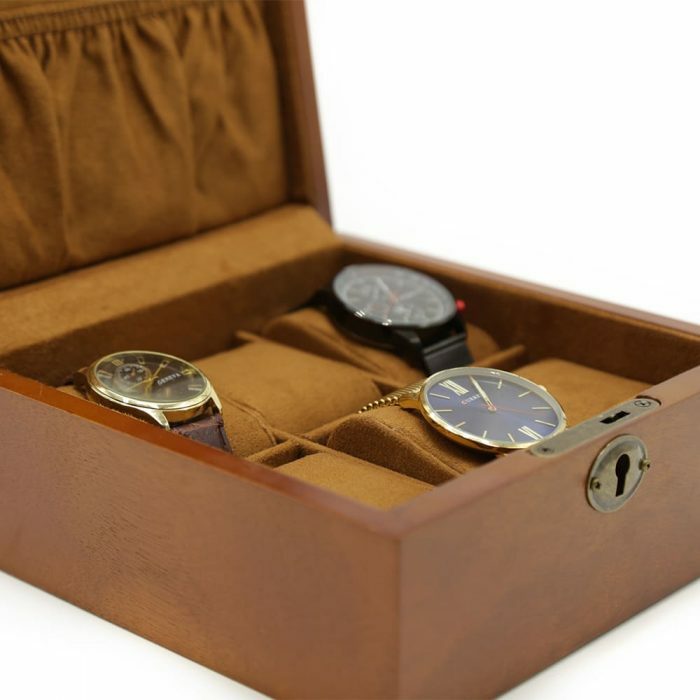 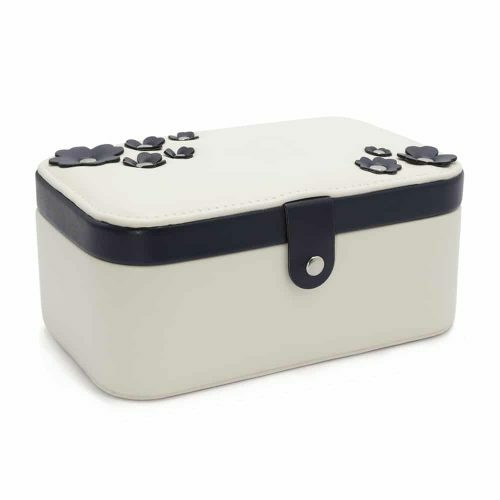 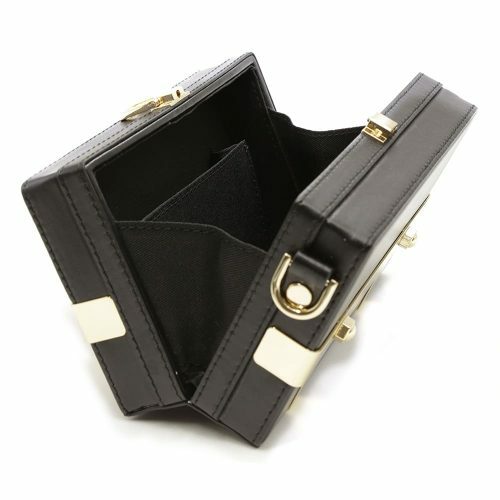 It has an extra pouch on the top to add a cleaning cloth or any valuables you wish to store with your watches. 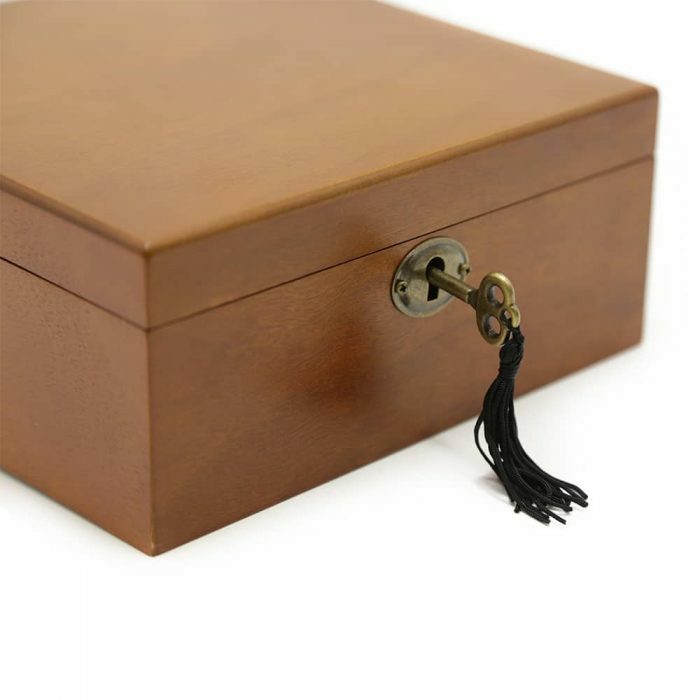 This watch box comes with a brass lock and key to ensure your watches are secure and safe.